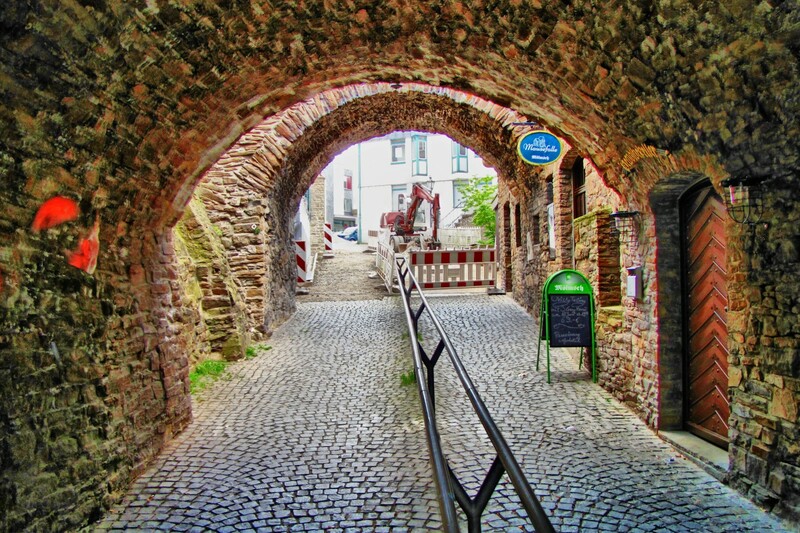 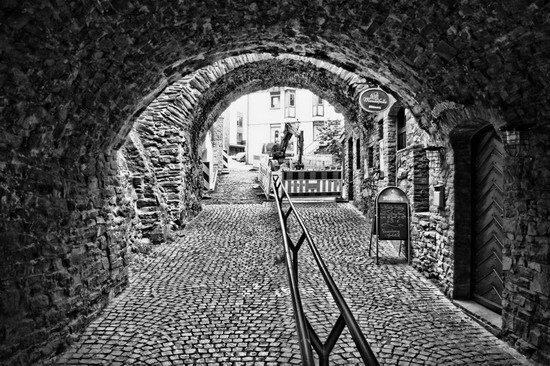 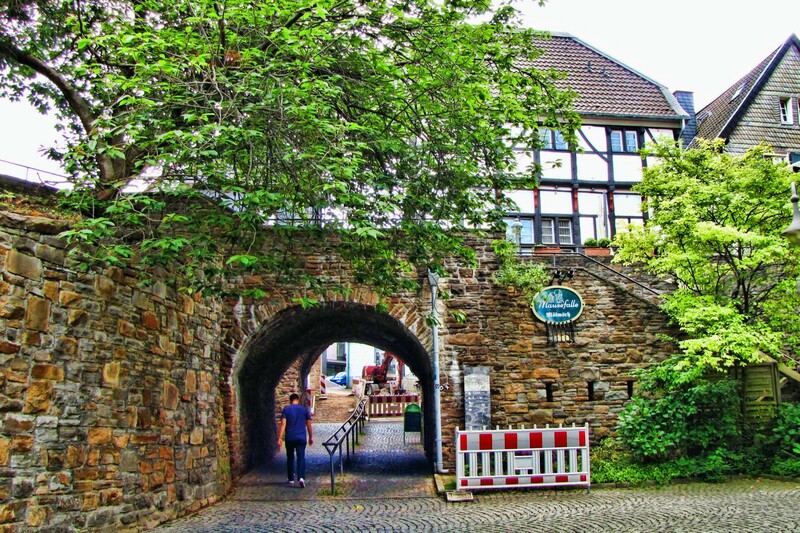 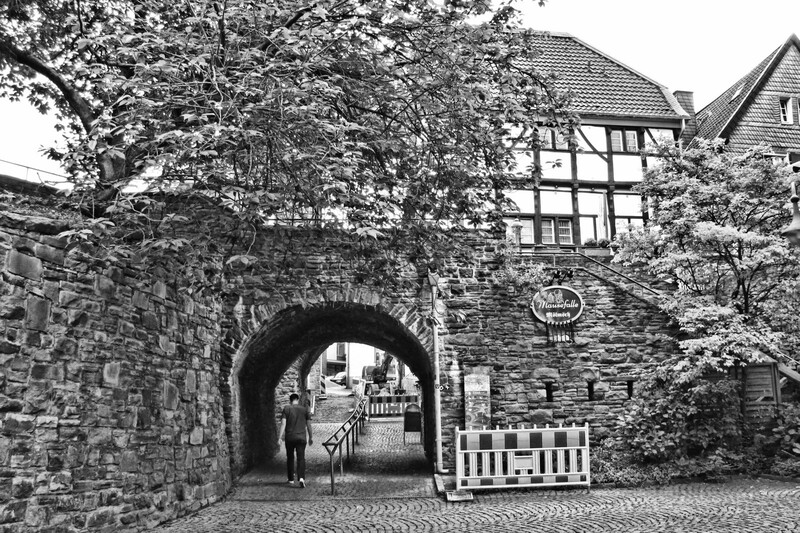 Inside Mülheim’s Mausefalle – the archway that leads into the old city around the churches. 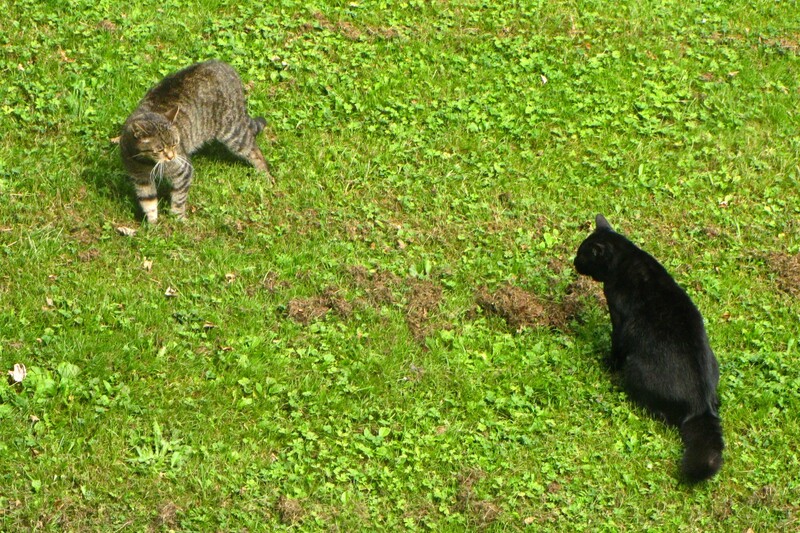 This seems an appropriate photo for World Cat Day – those two were having a territorial dispute on the grass in front of the balconies, but it was peacefully resolved (the black one retreated!). This archway is called the Mousetrap for very obvious reasons :-). 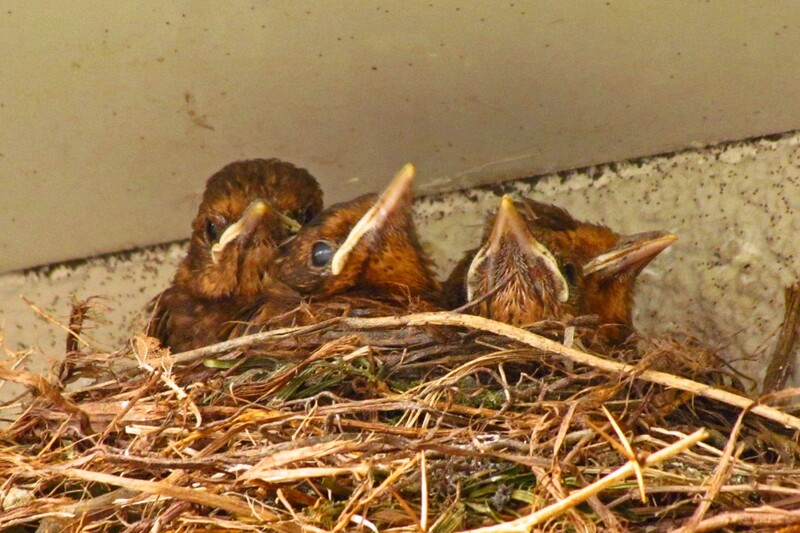 Last photo for now of the blackbird hatchlings at the shopping mall.